Home / Posts tagged "Pre-auction sales"
In my last blog, we talked about whether or not someone could purchase something from an auction before the auction begins. We decided the correct answer was no. In this blog, we’re going to investigate whether or not an auctioneer can pull an item from an auction. The short answer is yes. The longer answer gets a big more complicated. First, we need to clarify that we are talking about completely pulling an item from the auction (and not selling it to anyone) rather than selling an advertised item before the auction. When we talk about pulling an item, it means the auctioneer makes a very conscious decision to not sell a particular item, whether it was itemized or not. Notice the key words: NOT SELL. But why, and when, would this happen? Let’s look. The first reason an item might be pulled from the auction (or not sold) is that it did not meet the minimum reserve price. 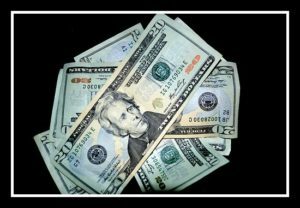 Most items at an auction will be sold for whatever it can bring, even if it is just a couple dollars. However, some items might have a minimum reserve price, which is an undisclosed price that the seller has communicated with the auctioneer before the auction. The item is identified to the crowd as having a reserve price. 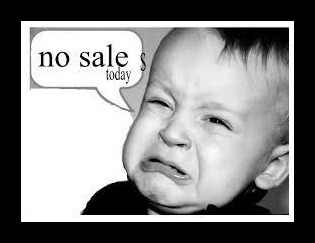 If this minimum price has not been reached, the item will not be sold. For example, say Acacia was going to sell her Farmall Cub tractor. She’s not going to, but imagine she decided to. She works it out with the auctioneer that she wants a minimum of $2500 for the tractor. The day of the auction arrives. People getting ready to bid on the Cub know there is a reserve price, but after a couple minutes of bidding, the high bid is only $1250. At this point, the auctioneer would state that the Cub didn’t reach it’s reserve price and it would be set aside. Another reason that an item might be pulled or not sold at an auction is because it is in an auction with reserve. This simply means that the seller has reserved specific outlined and contracted rights, one of which is the right to not sell an item. The biggest catch is that seller (or the auctioneer acting on the part of his client) must pull the item before the auctioneer brings down the hammer. Once the hammer comes down, the item is sold and cannot be pulled from the auction. While this might make a buyer upset (especially if they are bidding on it), and while it might make the auctioneer look, well, not so good, it does offer the seller some protection from a way too low of a bid. Going along with this, some auction houses will reserve the right to withdraw an item if it only receives nominal bids (bids by people who think they can buy something for $5 when it’s worth $100) or when an item doesn’t receive bids that reflect what the item is actually worth. This is something that is more common in larger auction houses, or when the seller and auctioneer put it in their contract. This is also usually stated somewhere on the auction house’s Terms & Conditions for all to see. A fourth reason an item might be pulled, or withdrawn, from an auction is because the item is defective. Perhaps an item was listed for sale, like perhaps an oak infant crib. 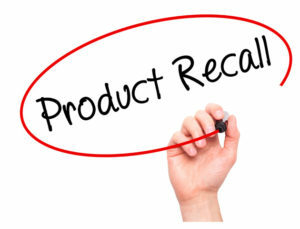 A day before the auction, the seller or the auction house is made aware of a recall on the crib due to a defect in which the side rail would not stay up and children’s arms and legs were getting hurt. The auction house will pull this item as it could not in good faith sell a defective item to another individual. Similarly, if it is noticed that there is a defect that was not otherwise noted and cataloged, the auctioneer may choose to withdraw the item, or set it aside without penalty. Again, this provision is usually noted in the auction houses Terms and Conditions. A fifth reason an item might be withdrawn could happen if the auctioneer suspects that there is something fishy going on that is influencing the sale of the item. This could be collusion between buyers or someone purposefully bidding the item up to get a higher sale price. Both of these scenarios are unsavory, distasteful, and unacceptable by those who love to attend auctions to get a good deal or purchase a treasure. Well, there you have it. Five (5) big reasons that something you thought was going to be sold, didn’t get sold. Happy Auctioning! Often times people will see something up for auction and want it. That’s good. Auctioneers love it when people want to buy the items that are up for auction. They get especially excited when more than one person want an item. It makes for a good auction. Lots of bidding, fast talking, anticipation, and electricity fill the air. It’s a lot of fun. But what about when you see something and want to buy it outright before the auction even starts? As a general rule, the simple answer is no. N.O. Not at all. Nope. You can’t purchase something pre-auction. The reality could be a bit more blurred as different auction houses and internet auction companies may have different policies, but in general, it’s just not done. Here’s why. Bidder Expectations: Many auctions nowadays have printed catalogs (often printed a few days before the auction). Many auctions are on-line with lots and pictures and active bidding. This also is considered a catalog, albeit an electronic one. Then there is the advertising. Before an auction, the auctioneer creates newspaper advertisements and flyers which list many items (som e very specifically) that are to be auctioned off. An e-mail goes out to the people on the “contact me about upcoming auctions” e-mail list. Because of this, people come to the auction specifically looking for an item or two (or twenty-eight) that they want to bid on. 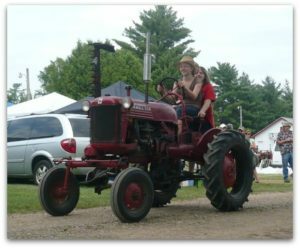 Because the Farmall Cub was prominently listed, there will be people who will attend the auction specifically just for that Cub. Can you imagine their disappointment when they get there, walk around and around the property and can’t find the tractor? It was advertised in the newspaper. It was on a flyer they picked up or saw in town. It was even listed online. So where did it go? When it’s advertised, people expect to see it. When they don’t, they are disappointed, and sometimes can get angry and hostile. It also leads to other questions about the auctioneer’s ethical behavior. Consignor Considerations: Consignors need to remember that a contract is a contract. It’s legally binding. Somewhere on that contract is probably a statement about no pre-sales. 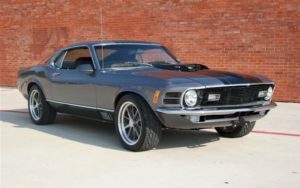 While you might think that if you sell that vintage Mustang ahead of time because your friend is offering you big bucks for it, you could potentially be losing out on even bigger buck s. Yes, you might sell it for less at the auction, but if you sell it ahead of time, well, there could be other repercussions. The auctioneer, not you, is probably going to end up being on the blunt end of the anger of other potential buyers who came specifically for the Mustang. Also, the auctioneer, because you’ve already broke the contract also has the right to pull the plug on the auction (and will likely tell other auctioneers in the area what you’ve done so they won’t work with you either). Keep in mind that if your friend really, truly wants the Mustang, he will come out to your auction or leave an absentee bid for it for up to the amount that he paid you for it. If there are a couple other serious bidders, you might actually earn LESS money by selling it outright than you would have received because you chose to sell it out from underneath the others’ feet. Auctioneer Ethics: Auctioneers have a reputation to uphold. They want to be known as fair to all, and of upright character. At least the good ones do. A good auctioneer will not sell an item that is already lotted and itemized online or was advertised. 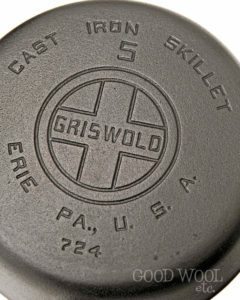 They know that selling the Griswold cast-iron pans that have been advertised and have a couple online absentee bids on them a day or so before the auction will result in some pretty nasty business. Buyers will not trust the auctioneer and his auction company and not attend auctions, because if he sold the Griswold’s out from under them, what else might he sell before the auction starts? Future potential consignors may choose to not consign with this auctioneer thinking that they may not be getting the most money for their items, or that he doesn’t have their best interest in mind. Is that to say that every auctioneer, auction house, or other community auction sites have the same rules? No. You would need to check it out first. Is that to say that an unlotted item (an un-numbered item that is not listed specifically in the auction catalog) might not get sold pre-auction? No. But most auctioneers won’t sell items pre-auction, and usually not without the express permission of the consignor.